The fitness industry is all the rage lately. 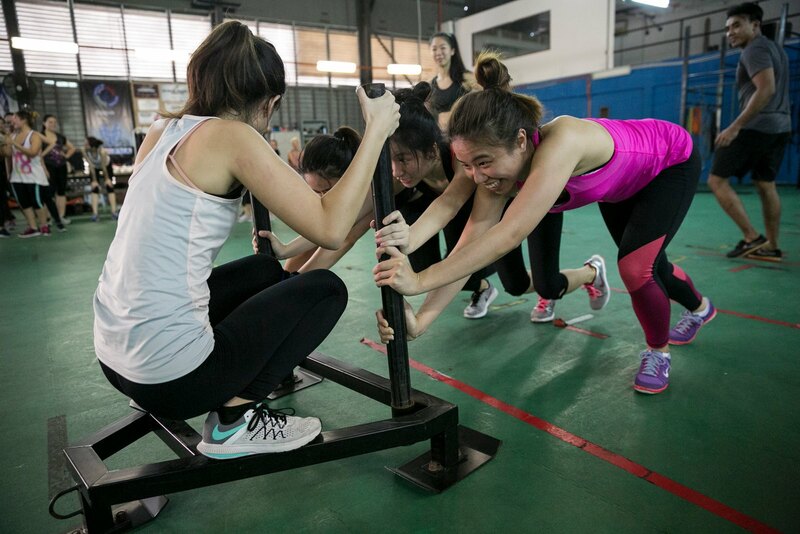 With a rising awareness towards fitness, and the availability of fitness options outside of the contract-based traditional gyms, it’s good to know that Malaysia—as the most obese country in SEA—is making a move towards being more active. The fitnesswear industry has also hitched along for a ride, and we’ve seen quite a few strong players getting a lot of love on the market. Hoping to make their own mark in the industry, fitness brand Liberty Active joined the field in March. Becca and Ming started off as friends and co-workers who exercised together post-office hours. With passion towards fitness and a trained eye towards fashion, the pair thought that too many international brands were too expensive, and didn’t cater to Asian body types. Before even hitting 30, both struck out on their own path to remedy what they thought was a gap in the market. The pair spent a year’s worth of careful observation before they felt ready to launch their own line. Based on our observation, they certainly leveraged their history in fashion e-commerce to start out competitive in an already competitive field. Their prices do run, on average, pretty close to other locally-produced brands. They came together and decided on a figure that they would both be comfortable investing and took it from there. Liberty Active, according to their website, was designed by women, for women. And best of all, the operations and manufacturing of Liberty Active is 100% Malaysian. The pair brought up their colourblock leggings, where the panels have to be cut off just right to flatter a woman’s natural curves. They also design most of their leggings high-waisted, “because we know many women out there want their leggings to cover and support their lower abdominal area fully”. They’ve also incorporated these design philosophies into some bold designs. The pair are also leveraging off their experience in e-commerce to be able to do the whole thing by themselves. Besides coming up with all of the designs and manufacturing them into actual pieces, the pair also handles everything on the technical side. “Being in the e-commerce industry equipped us with the technical and technological skills so we saved on the need to outsource a web developer to help us set up our online store,” said the team. Their previous involvement in a fashion tech startup gave them skills like coding, digital marketing, social media, branding and design. “More importantly, we were trained to measure and assess the return on marketing campaigns, which is essential for a growing business as you would not want to be splurging your money just for the purpose of ‘being seen’,” said Liberty Active. And it’s been paying off for them. A fitness brand that isn’t just about fitness. “Coming into this market, we already knew that competition is inevitable. While it’s good to keep an eye out on what our competitors are doing, our ultimate goal is to serve our customers,” said Liberty Active. As with other immensely competitive industries, it might just be this community value that makes or breaks a brand. Liberty Active is on that boat as well. We asked about how they plan to stand out against all of these other fitness brands. The LA girls, as the pair calls the community, shares criticisms and opinions about their products as well. With a restock of their popular designs, as well as new ones coming on the 18th of August, the team has lofty goals.